Today was the first birthday I've had outside the uk. Not alot to report to be honest, its been nice recieving texts of good wishes from friends and family but its been pretty much of a quiet one as I'm working an opposite shift to the rest of the guys today. I've got to go to work in a couple of hours till 6am as well so not the best evening in store! Also been feeling a bit rough today so just been very lazy and tried to relax. We went out yesterday/last night though to make up for it. Hit the beach, went for a nice meal, watched the footy, then came back for a few drinks to see in my birthday at midnight. Me and neil continued to drink till about 3am but didnt quite make it till half 4 to see in my birthday uk time. It was agreed last night that bringing the PS2 over was a good idea. 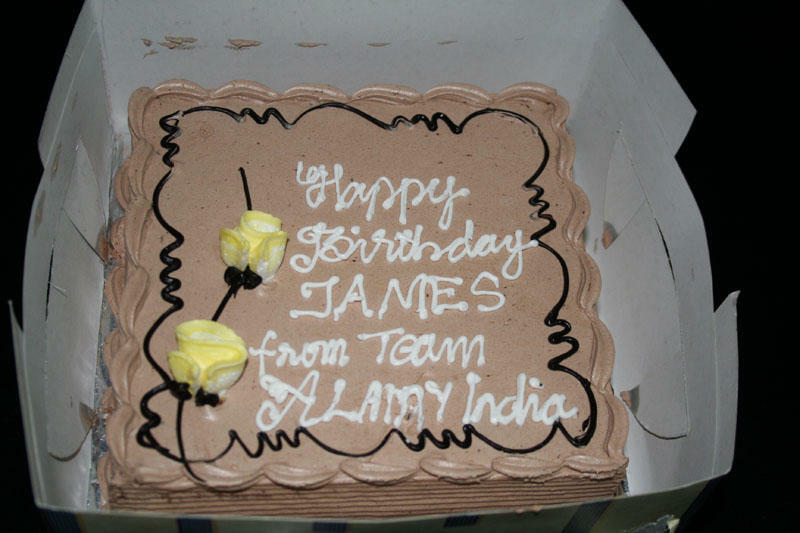 Had a nice surprise half an hour ago when a delivery guy (closely flanked by the most happy security guard in the world) knocked on the door and handed a cake to me from the indian team (above). 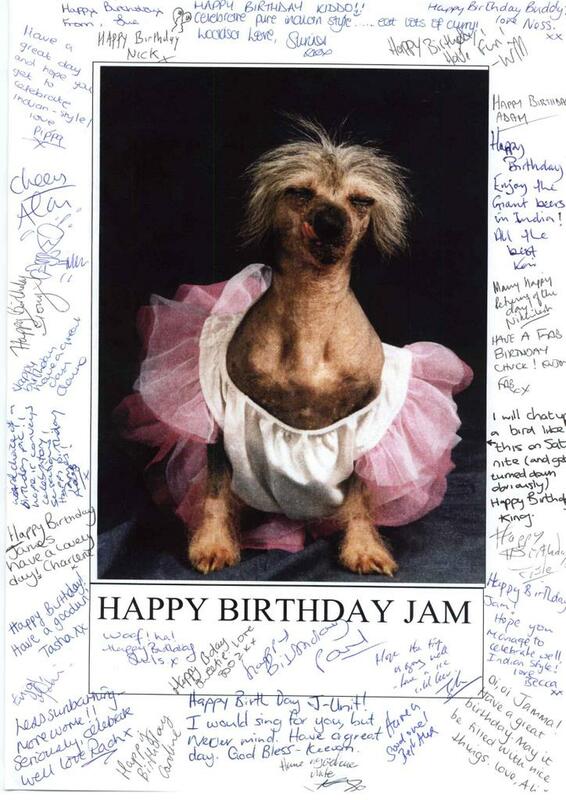 He did his best to sing happy birthday to me but failed miserably I'm afraid, succeeded in making me laugh though, as did this (right) which was scanned and sent over to me from the UK work lot, cheers! Loving the diary James!! I hope that french is coming in useful. Miss Lidstone says hello. Come on own up, I've just awarded you "funniest comment on the blog so far".